Mike Moran, author of “Do it Wrong Quickly; How the Web Changes Marketing Rules” spoke at the BMA-NJ breakfast workshop on the importance of Social Media Listening. His talk covered the value and potential pitfalls of actively using social media, and tools that can be used to analyze and respond to what’s being said about your brand online. When people think of social media around products and companies, they immediately think of complaints. And Mike showed that it’s true that this is often seen on many message boards and blogs. But since these comments are out there, it’s better to be aware and respond, than to ignore what’s being said about you. For example, a blog posting that stated “Never buy from Buy.com” was, for a while, the #4 result on Google for “Buy.com” searches. Mike made the point that your brand reputation used to be how you act and what you did. Now it’s what other people say about you online. Since these comments are kept as a “permanent record” online, there are no more 1-day PR stories – anything negative must be dealt with in a way that shows you care. Feedback is also immediate – many restaurants are now reviewed by diners while they are still in the restaurant, waiting for their check, not by an annual visit from the local newspaper editor. “If you’re talking in Social Media, you’d better be listening” Mike warned the BMA group. Imagine walking into a cocktail party and immediately start talking loudly about yourself – it would be rude and counter-productive, and people would avoid you. So listen to some conversations first, and then start to add valuable comments in the same tone and manner as the discussions around you. Mike described his recommended process of “Listen – Plan & Organize – Engage – Measure”. Since there is so much data available, you need a way to track and analyze the 3 types of conversations described by Mike – Public (Twitter, Blogs); Private (Facebook, LinkedIn): and In-between (Ratings, Reviews). The “In-between” category can be the most valuable, but also the hardest to track since most review sites prevent search engines from using this data. Several tools such as Converseon, Radian6 and Nielsen can be used to assist in this analysis (Mike Moran serves as Chief Strategist at Converseon). Listening tools gather data from many sources including Twitter, blogs, Facebook and message boards, and then analyze them for keywords, patterns and “sentiment” using boolean logic. Sentiment analysis is critical to identify negative comments but, as Mike described, there are many hurdles to accurate sentiment analysis since words have multiple meanings dependent on the context. For example “unpredictable” is probably a negative comment for a restaurant, but positive for a movie. Another challenge with listening tools is when the brand or product name is also a generic word. For cellphone companies “T-Mobile” is easy to isolate, but “Sprint” tends to find results of high school athletics! To analyze the data, visualization techniques can be used to combine and present the conversation data in appealing formats, to highlight the relations between comments and the relative influence of certain participants. Mike concluded his presentation with a vision of how listening tools will develop. Detailed, multi-layer listening dashboards; non-text objects; multilingual capabilities; and predictive modeling techniques will all be introduced to improve the capabilities of Social Media Listening. BMA-NJ thanks Mike Moran for taking the time to share his expertise with the B2B marketers of New Jersey. 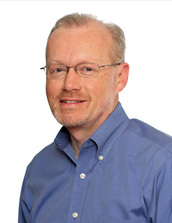 You can hear more from Mike in his regular posts at Biznology.com or follow him @mikemoran. Previous Previous post: Why would an Engineer visit your website?